Do y​​ou know a journey person who would be willing to work with you as an apprentice? Does your family run a business in an apprenticeable trade? Do you have connections through friends or family that may assist you in finding someone who will apprentice you? 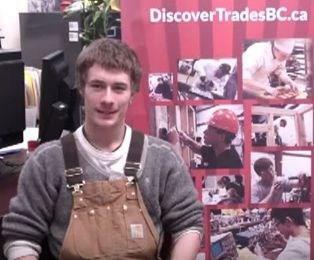 Youth Work in Trades (SSA 11A, 11B, 12A, 12B) allows students to begin the process of apprenticeship while still in school. As a​n SSA student, you'll "earn while you learn" and graduate from the SSA program with 16 high-school credits and 480 work-based training hours that count towards your trade credential. are responsible for finding your own employer for this program. Have a Grade 12 Dogwood Diploma or an Adult Dogwood Diploma. Have 900+ hours reported to the ITA within six months of graduating. Reported a total of at least 900 hours to the ITA by December 31 of the school year the student turns 19 **** To be eligible for a **Youth Work in Trades Award, a student must complete 900 hours of work-based training by December 31 of the school year the student turns 19. 480 hrs of work for course credits, and then the remaining 420 hrs on their own time, but before Dec of the year they turn 19. Luke Tiechrib started his SSA when he was in grade 9. He attended school for half days to get his academic credits, and learned valuable trade skills while out on Secondary School Apprenticeship and Work Experience. 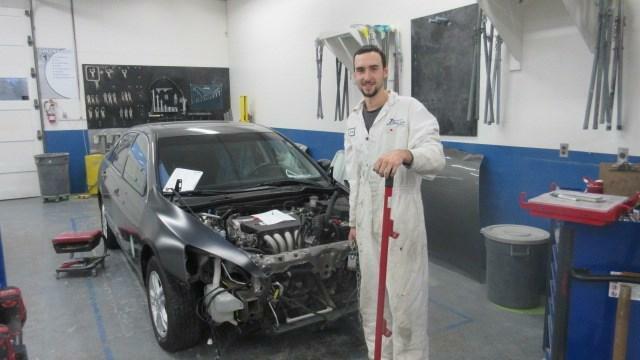 He also went to BCIT during his grade 12 year to get his level 1 Sheet Metal foundation course, which gave him high school credits and the school district paid his tuition.